Marjane Satrapi is an Iranian author and illustrator, now living in France, who was born in what was then called Persia in 1969. Her parents were members of the intelligentsia, communists, and descendants of the Persian Royal family. Some family members had been imprisoned by the Shah. She was 10 when the Shah was overthrown. Her family had demonstrated against him, but were opponents of what became known as ‘The Islamic Revolution’ Aged 14, in 1984 Marjane was sent away to Austria by her family, who could see the writing on the wall for her as a young girl in a country becoming ever more fundamentalist. And all of the categories of sufferers in the last sentence, were also members of her family, her close friends – and of course, she herself was in that last category. So…..what is it which might lift this book out of being a harrowing, awful, account of suffering? Though it certainly contains much harrow, this is a graphic novel – which might indeed be read by the young adult, as it is an personal account of Marjane’s childhood from aged 6 to when she left her home in 1984. But I would say it is primarily a graphic novel for adults. It has been compared, believably, to Art Spiegelman’s Maus, which deals with the Holocaust, and its effects on survivors and their families, through the same medium. I read this with a mixture of laughter and tears. We view, often, globally, casting entire nations as devils or angels – my angels, your devils. We all can do with reminding that all nations are as full of individuals, with their own unique histories and stories, as our own. 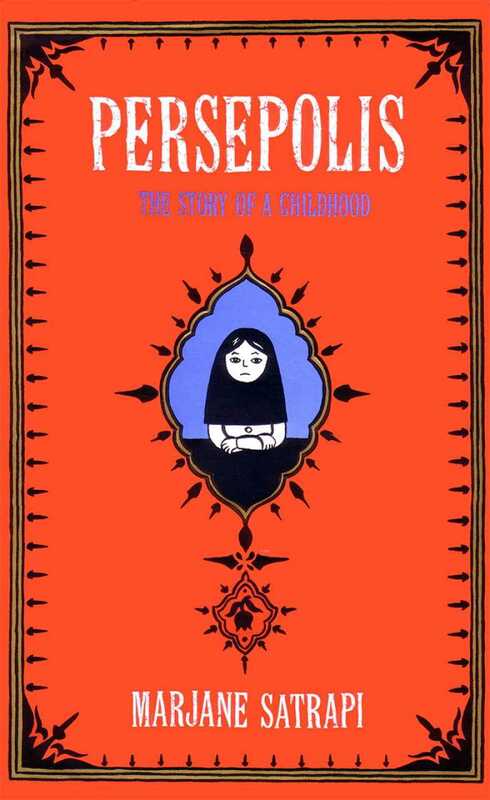 There is a further autobiographical graphic novel, Persepolis 2, in which Marjane covers her difficult adolescence in Austria, and an eventual return to Iran. The author, as stated, now lives in France, has published more books, and is also an award-winning film-maker – Persepolis and her novel, Chicken with Plums, were both filmed, and she has both directed and written screenplays, both of her own work, and of others. I’ll look in the library for this one. I wasn’t sure how captured I would be by the story when I picked up Maus a number of years ago, both because of its graphic form and because of the mouse natured characters. I was totally drawn into the powerful story with those components both adding to the horror of it somehow. I also enjoyed Raymond Briggs’ quiet story of his parents’ lives told as a graphic biography in Ethel and Ernest. This is the second review of Persepolis I’ve read this week and it has prompted me to dig out my copy. Its a wonderful novel and her voice is unique and engaging, Have you seen the film? I thought it worked well as an adaptation. I took a poetry workshop during my MFA program. One participant’s family was from Iran. 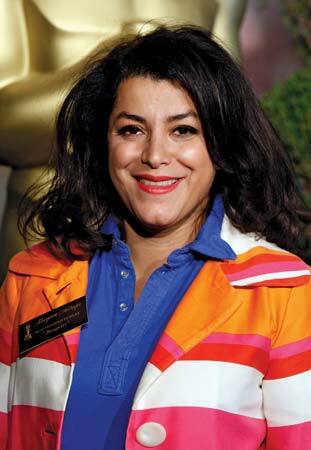 She was born in the U.S. and learned to speak Persian, English and French as one language. She explained how she was tired of the pick-up lines in bars, guys asking “so where are you from,” implying that she was not American. She would end up responding: “From the axis of evil.” Then walk away. The Bush years were a difficult time for her. She told us how poetry was like breathing for her family. And she read us poems in Farsi and English, so we could hear how they sounded in both languages. Long before I met her, I worked with a pair of clients, one a man from Iran working in the U.S. married to a woman who was a U.S. citizen. She told me how much she loved living in Iran before the Shah. They were an interesting couple, she was a very strong woman, he was a very gentle man who used to sit on his roof shaded by trees and meditate. So often, it helps to make friends, to hear stories, to associate a face with a particular culture or place. In the way that tiny toddler put a face on the struggles of Syrian refugees. Hearts open. Feelings are shared, and we no longer are willing to make generalizations, unless it is the generalization that we are all human, we want to love and be loved. And reach out to those across what we would otherwise think of as a cultural chasm to find common ground and respect. This books appears to reach across that chasm and show the reader that painting with a broad brush should be left to those painting barns, not for making assumptions about entire groups of people. Beautifully expressed, profound post, Jilanne. I’m terrified by how easily we demonise the other, from the smallest to the largest of interfaces. And we need shocking and shaking and reminding in as many ways possible that actually, we are all both other and us. Biology delights me, often, reminding me that even and individual only exists because an organism is a collection of others – not self as well as self, mutually co-existing. If there are more cellular units of ‘ not- me’ in my body than of ‘ me’ then just who do I ( or anyone) think we are, if we are all more other than ourselves!